A skiing holiday is never going to be a cheap break, but the pistes aren’t reserved for the mega-rich either. If you steer clear of the upmarket resorts and do your research when it comes to accommodation and equipment hire, it is possible to go skiing on a budget. Here’s how. Many of the super-popular French and Swiss resorts are extremely pricey. It’s not just the accommodation that’s expensive, but ski passes and food and drink too. To save money, head for a resort elsewhere. 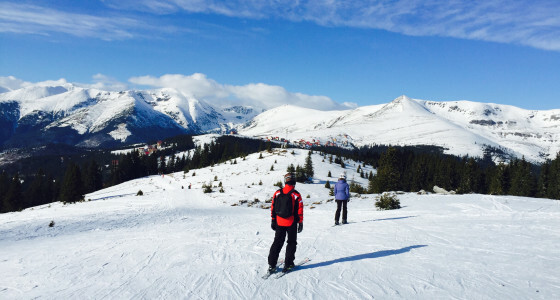 Eastern Europe is a wallet-friendly option: Vogel in Slovenia, Kopaonik in Serbia and Jasna in Slovakia are decent resorts with weekly ski passes around the £100 mark and affordable accommodation and restaurants. Andorra - the tiny principality wedged between France and Spain - is another relatively cheap option. It’s a tax-haven, so you can shop duty-free, and because it’s popular with a young crowd, the bars and restaurants tend to be more affordable too. Cheaper resorts tend to mean cheaper accommodation anyway, but to save even more on where you stay, opt for a self-catered apartment or a hostel room rather than a hotel or ski lodge. Try searching Airbnb for a cut-price room, apartment or chalet. You’ll always pay a premium for ski-in ski-out, so you can save cash by picking somewhere further from the slopes, but factor in how much inconvenience this will cause and how much you’ll have to pay for a bus to the ski lift. If you don’t have any mates with items to lend, try buying good-quality second-hand stuff instead: try charity shops, eBay and Amazon Marketplace, and look out for brands like Salomon, Rossignol, Columbia, Arc’teryx and Spyder. Most resorts have several ski hire shops, so search around for the best deal, but also check customer reviews to make sure the store has a good reputation. Many ski hire companies offer online discounts, so you may be able to save a packet by booking your boots, skis and poles before you leave. You may be able to find discounted ski passes or group ski pass deals online too, but always make sure you’re buying your pass from a legitimate seller. Easyjet flies to Ljubljana (an hour’s drive from the resort of Vogel) for under £100 and you can get a Wizz Air flight to Poprad (a 40 minute drive from the resort of Jasna) for just over £100 return. To travel to Andorra you can fly in to Barcelona on a budget flight and cheap bus transfers are available to take you to the resorts, which are about two and a half hours away. Prices are per person, based on a holiday for two people in February 2017 in Vogel. Are you planning a ski holiday this season? Tell us about it in the comment section below. Once your ski holiday is all wrapped up, perhaps it’s time to get on top of your pension. Set up a PensionBee account now.